My mum and dad came to visit today to help move the last couple of items out of the two downstairs bedroom ready for the new carpet to be installed. As part of this my dad helped Charles move our Boori Matilda Rocker upstairs where we will use it for Addison in our bedroom for the first 6 months. 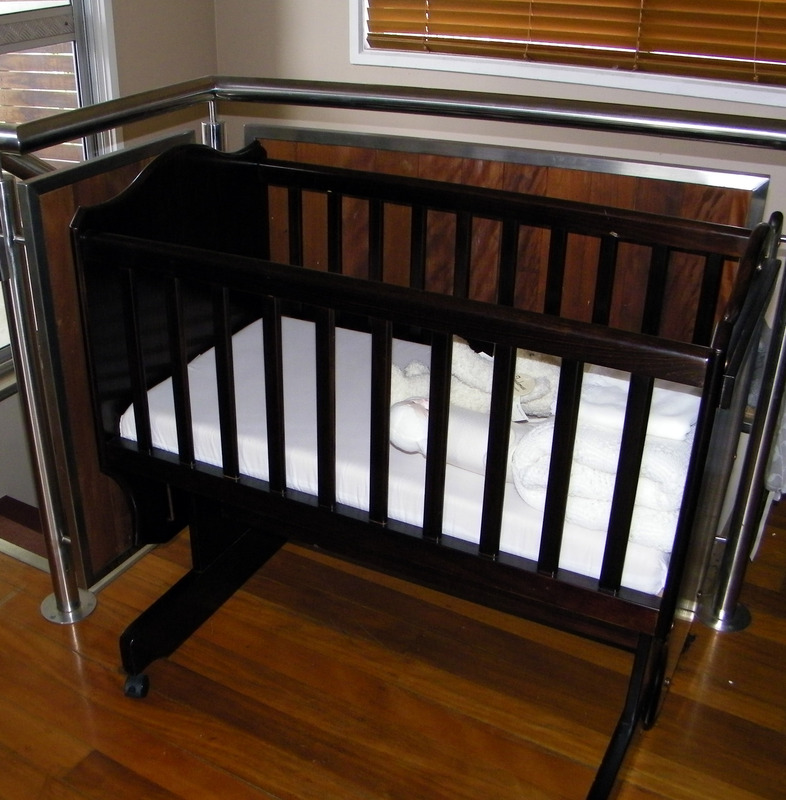 Sids and Kids is encouraging parents to sleep babies in their own safe sleeping environment next to the parent’s bed for the first six to twelve months of life. 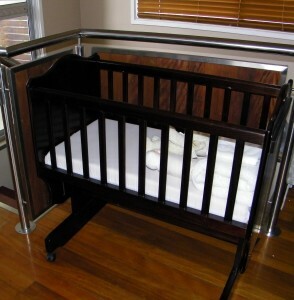 Eventually on the My First Baby website I will be including an article on Sids for first time parents to keep their baby safe.